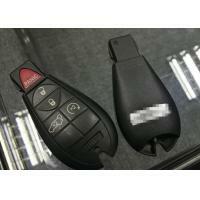 It will work with OEM quality keyless systems. Make sure you match FCC ID AND/OR PART NUMBER with current number. 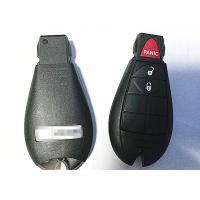 FCC ID and PART NUMBER are listed on backside of every remote. All products are 100% tested before listing and once again before shipping. Transmittery, batteries and button are in great working condition! Allkeyless will promptly exchange or refund money if received non-working. We produce it by high-precision milling machine and the size is very precise. The cover is made of ABS material, the surface with high hardness, good chemical resistance, heat and corrosion resistance and impact strength. The plastic parts are assembled without gaps,which is connected by split line and looks very perfect. Q1.Is there a logo on the back for a car make? Yes, logo on the back. Q2. Can I only buy key shell? Yes,You can only buy key shell if you like. WEKI international trade company main offer auto parts with oem quality, Our previous main market is domestic, and starting from 1999. 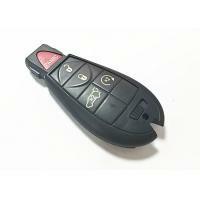 Now with the oversea marketing demand increasing, Weki company especially start to export our advantage key remote, smart key, chip, shell etc. As more than 15 years experience in this field and the top exclusive agent. we trust that we can meet your purchase list whatever competitive price ,Here WEKI is your assistant or partner to insist you to get more business opportunity in your market.